All aboard the Lake Superior and Mississippi Railroad! 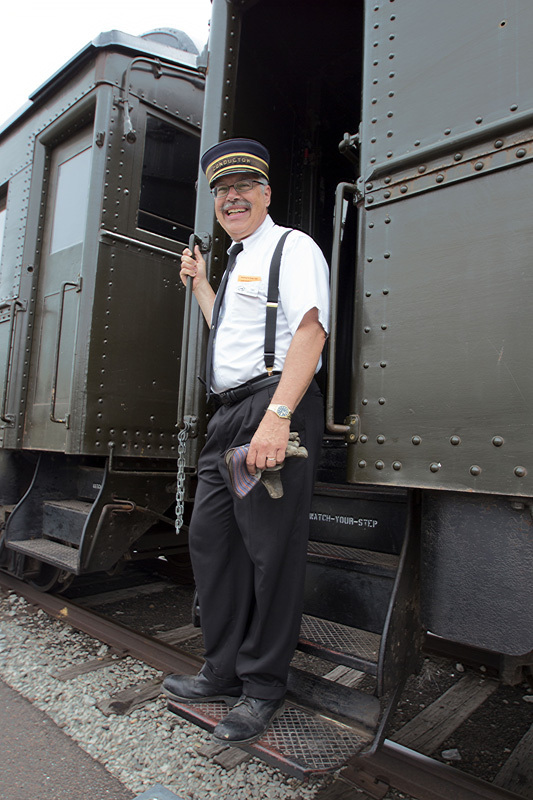 Volunteer conductor, John Cavanaugh, is ready to board passengers for an afternoon tourist excursion along the St. Louis River basin in Duluth, Minnesota. The historic train operates weekends throughout the summer with an all-volunteer crew. Now that we’ve got that song stuck in your head, think about this: photos and video of all things rail-related including subways and mass transit! We want to see people not only working on the rails but those folks using transit, too. Of course, we can’t stress enough, if you’re going to take shots of railroads to BE SAFE – here are some safety tips and facts to review before you go out shooting from Operation Lifesaver. To get you in the mood (and get that earworm out of your head! ), take a listen to The Subway Song by The Icarus Account. ← A Sailor’s Life for Me!